CITES Appendix I. The species occurs in several protected areas including the Northern Sierra Madre Natural Park on Luzon, and Mt Kitanglad and Mt Apo Natural Parks on Mindanao. Since 1970, various initiatives have been launched, including the passing of legislation prohibiting persecution and protecting nests, conducting survey work, public awareness campaigns, captive breeding and a socio-economic project to alleviate pressure on an eagle territory whilst increasing local economic prosperity. 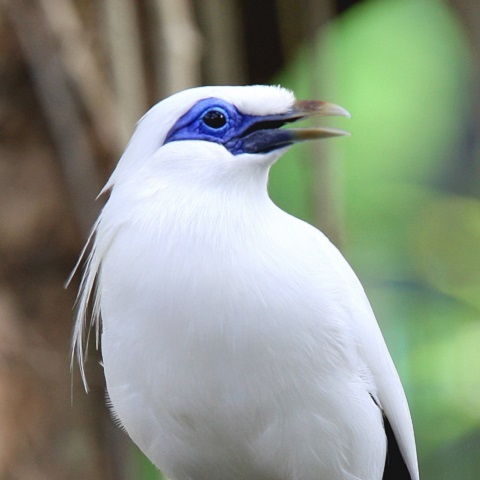 Haribon Foundation, the Species Guardian, has implemented an extensive program of education and outreach throughout Luzon, including engaging science teachers to develop a module including information on biodiversity and conservation with the Philippine Eagle as the flagship species (Haribon Foundation in litt. 2013). The project has engaged with 1,200 students and two indigenous communities (Hurrell 2014). Participation at regional events and radio broadcasts have also taken place (Haribon Foundation in litt. 2013). Additionally, slash and burn agriculture is regulated by a local ordinance in the forest in which the active nest was found on Luzon, and 'green guards' are used to protect the forest habitat (Ranada 2015). 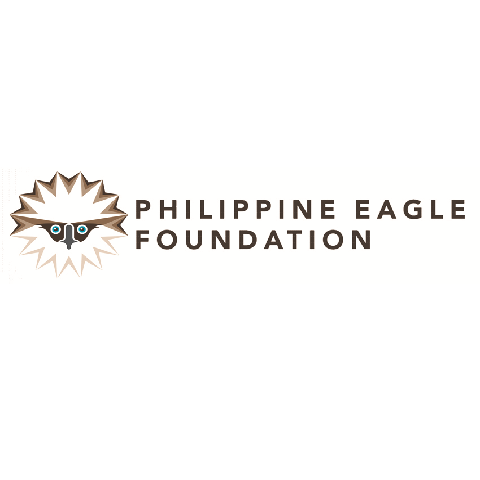 The Philippine Eagle Foundation runs the Philippine Eagle Centre in Davao City, Mindanao, and oversees captive-breeding efforts and monitoring and conservation of wild populations (Salvador 2004). In 2008, there were 32 eagles at the centre, 18 of which were captive bred, and the Foundation is working towards the development of a full reintroduction programme (Philippine Eagle Foundation 2008). Conduct further research into distribution, numbers, ecological needs and threats. Extend the protected-areas system to embrace known eagle nests and habitat. Implement habitat management schemes for the benefit of wildlife and local people. Integrate eagle-friendly practices into forestry policy. Launch a campaign to engender national pride and respect for the eagle. Develop support for the Philippine Eagle Conservation Plan at the local level (Haribon Foundation 2013). Investigate genetic differences between birds on Luzon and those on Mindanao, Samar and Leyte and take findings into account when planning releases of captive-bred and rehabilitated birds (Miranda et al. 2008). Implement further research and develop conservation actions for the species in the Sierra Madre mountains (Haribon Foundation 2013). Pithecophaga jefferyi is endemic to the Philippines, where it is known from eastern Luzon, Samar, Leyte and Mindanao. Mindanao supports the bulk of the population, with recent research estimating 82-233 breeding pairs (Bueser et al. 2003). 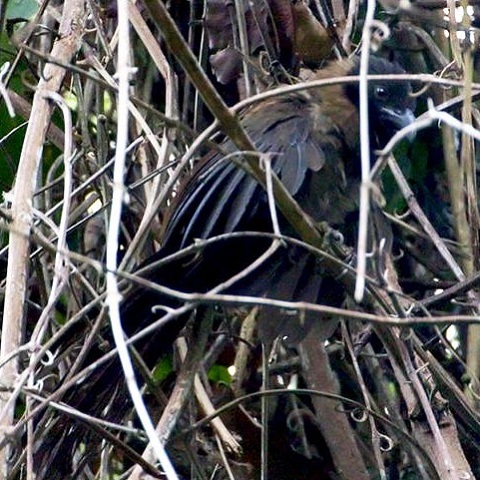 Estimates from other islands are of six pairs on Samar and perhaps two on Leyte, and at least one on Luzon (in 2015 a Philippine Eagle Foundation survey team found the first active Philippine Eagle nest in Apayao province [Ranada 2015]); but these should be considered precautionary figures (Collar et al. 1999). An earlier estimate using 1992 forest-cover data suggested 226 mature individuals, with a total population, including immatures, of c. 350-670 birds. Extrapolations across all islands based on the density of nests located on Mindanao suggest a total of 340 pairs; however, it is unknown whether the species reaches similar densities on the other islands, particularly Luzon, and this figure should perhaps be treated with caution (Miranda et al. 2008). 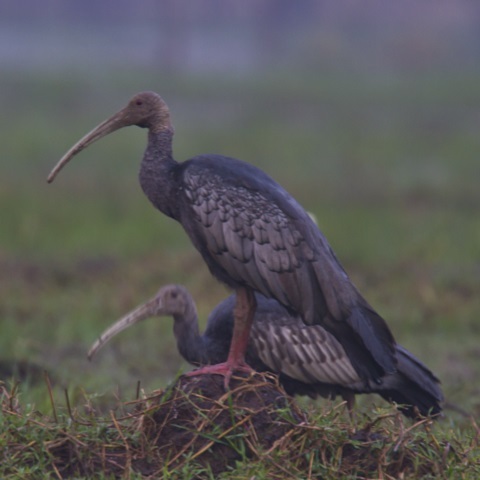 Poor recruitment to the breeding population was previously thought to be a key factor in this species's decline (Miranda 2006), but recent research suggests that the dispersal and survival of juveniles and subadults is of greater concern (Miranda et al. 2008). 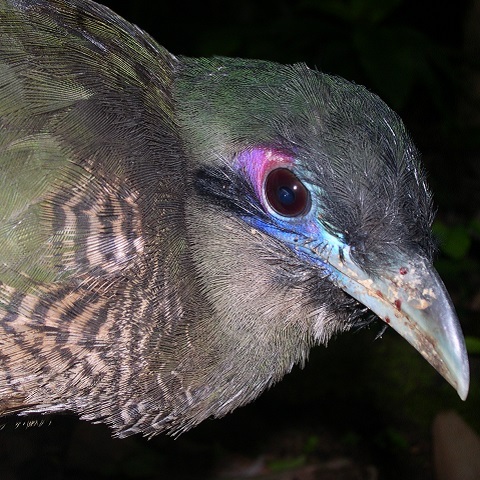 The first release of a captive-reared bird took place in 2004 when a male was released into the forest of Mount Apo, Mindanao (Block 2004). Unfortunately this bird was electrocuted nine months after release, and another rehabilitated bird released on Mindanao in 2008 was killed by a hunter four months after release, but further experimental releases are planned (J. Ibanez in litt. 2008, Philippine Eagle Foundation 2008), preceding a full scale reintroduction programme to supplement wild populations (Salvador and Ibañez 2006). Bueser et al. (2003) estimated the population on Mindanao to number 82-233 pairs. Numbers elsewhere are tiny: perhaps six pairs on Samar, two on Leyte and probably very few on Luzon, giving a total population size of perhaps 90-250 pairs, or 180-500 mature individuals, roughly equating to 250-750 individuals in total. Forest destruction and fragmentation, through commercial timber extraction and shifting cultivation, is the principal long-term threat. Old-growth forest continues to be lost rapidly, such that as little as 9,220 km2 may remain within the eagle's range. Moreover, most remaining lowland forest is leased to logging concessions. Mining applications pose an additional threat. Uncontrolled hunting (for food and, at least formerly, zoo exhibits and trade) is perhaps the most significant threat in the short term (Miranda et al. 2008). Naive juvenile birds are easily shot or trapped, as are adults nesting near forest edges (J. Ibanez in litt. 2008). Birds are also vulnerable to accidental capture in traps intended for wild pigs and deer, and there are several records of individuals caught in snares presumably whilst hunting on the forest floor (J. Ibanez in litt. 2008). Pesticide accumulation is another potential but unproven threat which may reduce its already slow reproductive output. Severe weather events, such as Typhoon Haiyan in 2013, may have an impact on the species (De Win 2013).